This book examines the transgressions of the credit rating agencies before, during and after the recent financial crisis. It proposes that by restricting the agencies’ ability to offer ancillary services there stands the opportunity to limit, in an achievable and practical manner, the potentially negative effect that the Big Three rating agencies – Standard & Poor’s, Moody’s and Fitch – may have upon the financial sector and society moreover. The book contains an extensive and in-depth discussion about how the agencies ascended to their current position, why they were able to do so and ultimately their behaviour once their position was cemented. This work offers a new framework for the reader to follow, suggesting that investors, issuers and the state have a ‘desired’ version of the agencies in their thinking and operate upon that basis when, in fact, those imagined agencies do not exist, as demonstrated by the ‘actual’ conduct of the agencies. 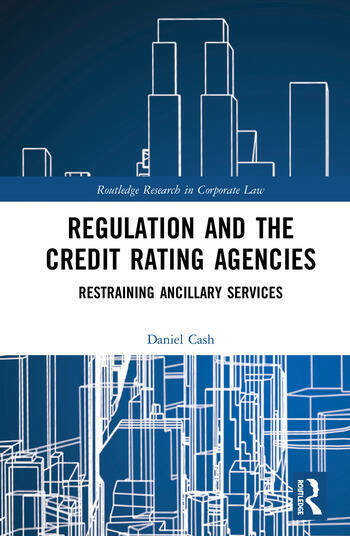 The book primarily aims to uncover this divergence and reveal the ‘real’ credit rating agencies, and then on that basis propose a real and potentially achievable reform to limit the negative effects that result from poor performance in this Industry. It addresses the topics with regard to financial regulation and the financial crisis, and will be of interest to legal scholars interested in the intersection between business and he law as well as researchers, academics, policymakers, industry and professional associations and students in the fields of corporate law, banking and finance law, financial regulation, corporate governance and corporate finance. Daniel Cash is a lecturer in law at Aston University, UK.